Zero B Emerald Home Ro System is 7 stage reverse osmosis water purifier, helping you being immune to disease causing bacteria as well as virus as well as eliminates harmful toxins, chemicals and pesticides giving you clean drinking water. The purifier measures 230x 275x 370 mm and is a wall mounted unit that comes in green and white color and can be mounted on wall. It weighs upto 12kg. The body of the RO System is made up of food grade plastic material and has a water storage tank with capacity of 6 liters. The tank is detachable, thus becomes easy to clean regularly. The LED light gives you tank full indicator. The device has the necessary overvoltage and overcurrent protection. 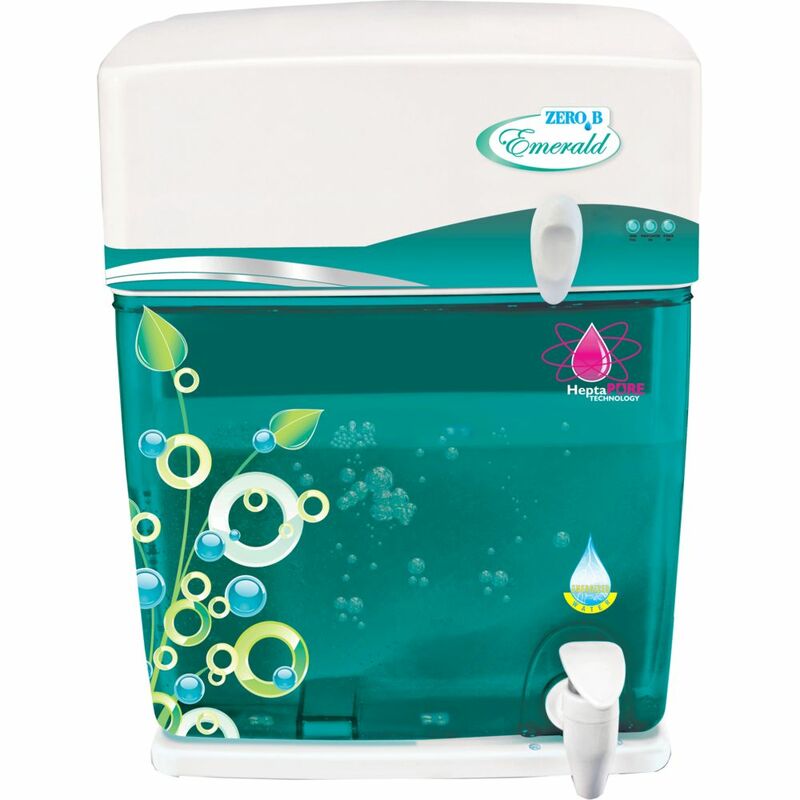 Zero B Emerald Home Ro System uses the reverse osmosis technology. The seven stages of water purification ensure safe and pure drinking water of the highest quality. Each of the seven stages involves a filtration process. The filters are Pre-filtration, High-Q Filtration, Sediment Cartridge, Osmosis Membrane ESPA, Resin Carbon Cartridge, Bacteriostatic Activated Carbon Cartridge and Bacteriostatic Carbon Filter. Healthy you, is the happy you. And water plays a prominent role, in keeping you healthy. Shun those stomach infections, and book a good water purifier online. Beautiful & glowing transparent tank LED to indicate water level. Zero B Water Purifiers are worth! I purchased this purifier from here...the delivery was on time...also, I found it affordable...!! I liked the taste of the water and it is also quite energising...!! !